Is called "Nisse". Can look quite slow in one on one situations when running for the ball but wins the ball almost every time in those situations. Played for many seasons as central defender but has for the past few seasons acted at left in the defense. 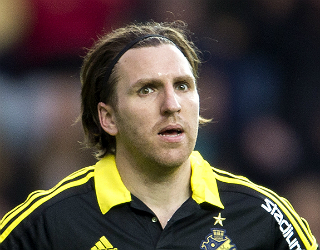 Nisse is very skilled using head and has done most of his goals by nodding the ball into the net or has nodded the ball away from the opposite attackers. His technically skills is underestimated but he isn't very good to shoot. He loves to make long sweeping balls towards the offensive penalty box.